Get you picture taken with a cop (preferable while not in a jail cell) -10 pts. Collect a coaster signed by the bartender – 5 pts. 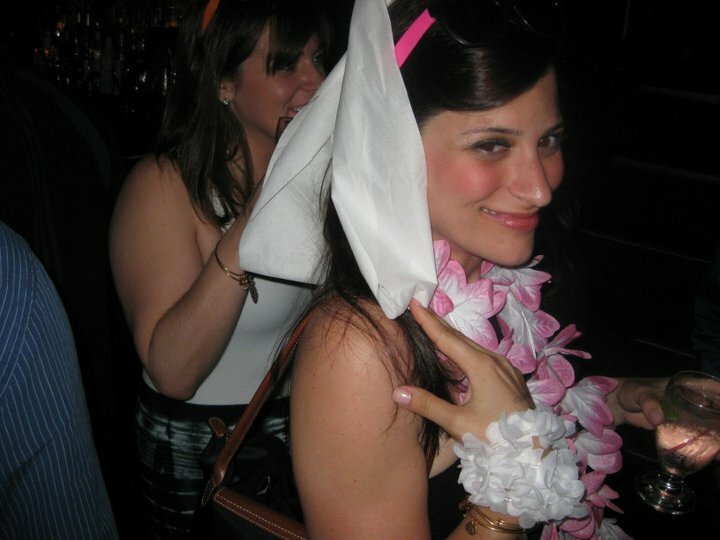 Make a veil out of toilet paper wear it for the length of 2 songs – 10 pts. Get a piggyback ride from a stranger – 5 pts. Get a guy to give you his socks – 10 pts. Black out one of your team members teeth (this should be done with makeup or some other peaceful means, no weapons please) – 5 pts. Find someone whose birthday is on the wedding day – 5 pts. Find a guy to give you a breath mint – (but don’t eat it) 5 pts. Find a guy to practice the wedding march with you…for 5 steps – 5 pts. Now it’s important that the team with the most success is given a prize, even a crappy one. It’s good to have incentive to be foolish…YOLO. Have an idea for a Scavegner Hunt Challenge? Add it to the comments box below. NOTE: Le Limo takes no legal responsibility for any actions taken above. Act with caution and safety and only particiapte within the limits of the law.